Love the mix group of races PC’s. Looking forward to more episodes! I, for one, welcome our new Eldar-reincarnated Emperor of Mankind. So special thanks to Shaun for the running quotes. This game makes me kind of want to open up that old Warhammer RTS. There was something weirdly hilarious about Tom’s ork not being able to understand the concept of enough guns, but never actually saying the catchphrase because Tom didn’t know the lore that “Nevva enuff dakka” is a common ork saying. 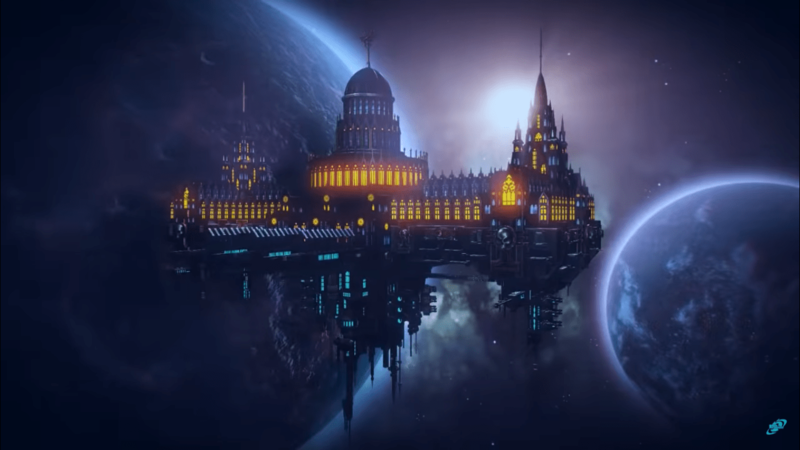 Oh, and there’s a captain Haarlock in WH40K who founded a huge trading dynasty and has an adventure path about him in the old Rogue Trader system, so it’s also a funny name for an Eldar starship. I think if we pick this up as an ongoing game, I will set up the PCs in a system controlled by a neutral alien species that doesn’t care if you’re human, eldar, or ork. That way, all the PCs can participate in social scenes as well. Hope you guys pick this up as a campaign. There is just so much humor potential! Renee is great as the sassy Sister of Battle and a good counterpoint to Shaun the non-stop 40k quoting Space Marine. I loved Aaron’s flashback to school where he was told they may come a time where he needs to diffuse a bomb like this! For a neutral alien species that controls a system may I recommend the Tau or the significantly more dangerous Rak’Gol from the Koronus Expanse. Not using the Tau because they’re already kind of at war with the Imperium and I don’t think they view orks as neutral. I was thinking more of a mutant strain of the Jokero that has speech and social intelligence, so it can just talk to people. I’m glad to see 40k on RPPR again. I thought Caleb’s distaste for the setting was an indicator that the Free RPG day scenario was the only time I was going to see you guys do my favorite setting. Also Rak’Gol are not even close to neutral. Even Orks in the middle of a full WAAAGH are more passive, lol.